Home » GBP » Pound Sterling to Japanese Yen Exchange Rate Forecast: Will Brexit Breakthrough Trigger GBP/JPY Rise? Are GBP/JPY Exchange Rate Gains ahead on Brexit Negotiations? The Pound (GBP) has dropped off against the Japanese Yen (JPY) today, falling to an exchange rate of ¥148.9730. The GBP/JPY exchange rate is still near a 4-month high despite this decline, but the latest dip is a symptom of underlying problems faced by GBP traders. The Pound’s current losses are down to the outcome of Thursday’s EU summit, where the UK’s Brexit plans were roundly rejected by EU leaders. Heads of state dismissed the so-called ‘Chequers plan’ as unworkable, which brought up fears that a no-deal Brexit could now be more likely. October’s initial negotiating deadline is expected to be missed and the assumption is that if November’s deadline passes then talks may conclude without a deal. Looking ahead, if EU leaders and UK negotiators appear to be making a breakthrough in Brexit talks then the Pound could recover and rise against the Yen. Can the Pound (GBP) Rise against the Yen (JPY) on UK GDP Growth? Beyond any surprise Brexit announcements, the next economic data that could affect the GBP/JPY exchange rate will be next Friday’s UK GDP stats. Covering reported levels of growth in Q2 2018, the finalised figures are expected to show an acceleration on the quarter and the year. Higher GDP readings, along with a forecast-matching rise in business investment, could be enough to cause late-week GBP/JPY exchange rate gains. Because of a hotter-than-average summer and the occurrence of the World Cup, the assumption is that Q3 GDP growth will also increase. As such, positive readings for Q2, which didn’t have any similar supporting factors, could raise Pound Sterling trader confidence. 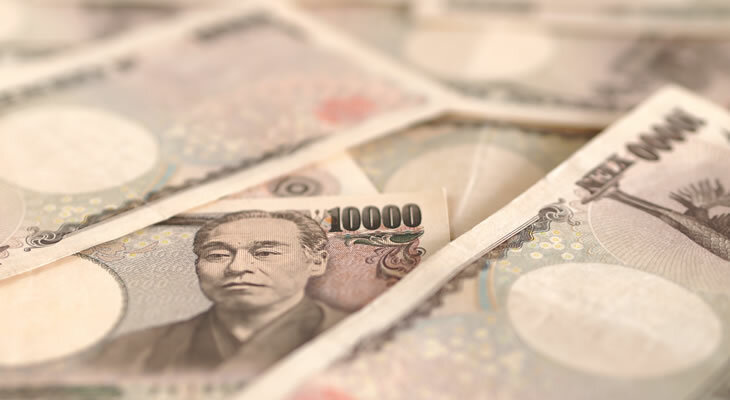 On the other side of the currency pairing, the next data which could affect demand for the Japanese Yen (JPY) will come out on Tuesday next week. This will be the Bank of Japan’s (BoJ) monetary policy meeting minutes, which will reveal policymaker attitudes at the latest meeting. The Japanese central bank gave no indication of plans to tighten monetary policy after a meeting on 19th September, so the minutes might lower Yen trader confidence. The BoJ has kept interest rates at -0.1% since 2016 and if the minutes confirm that this negative rate is likely to persist then the Yen could fall against the Pound (GBP). Beyond Tuesday’s potentially damaging Bank of Japan (BoJ) minutes, the Japanese Yen (JPY) could next be affected by Friday’s unemployment rate figure. This measurement of the national jobless rate is expected to have improved in August, with experts predicting a reduction from 2.5% to 2.4%. A slower pace of unemployment isn’t guaranteed, but if this is an accurate forecast then the Yen could firm and rise against the Pound (GBP).